Did you know a wedding ceremony in the Calderdale Register Office is just £120, Monday–Friday. See the Calderdale website for more details. 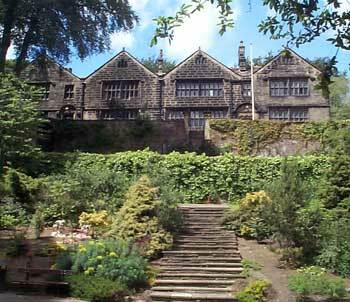 There are also a wide range of wedding venues in the Council, including Todmorden Town Hall and Clay House. Between 1 October and 28 February, Clay House is available for hire at a special rate of £1,000. Clay House is a Jacobean building, and is a fine example of seventeenth century vernacular architecture. It is within a beautiful rural park in the village of West Vale, less than three miles from Halifax. It contains a main hall, ante room and bar lounge, and the hall is hired as a whole venue. For further details email ceremonies.team@calderdale.gov.uk or call 01422 288080. ← North and East Halifax Friday Flyer 26 January – OUT NOW! !